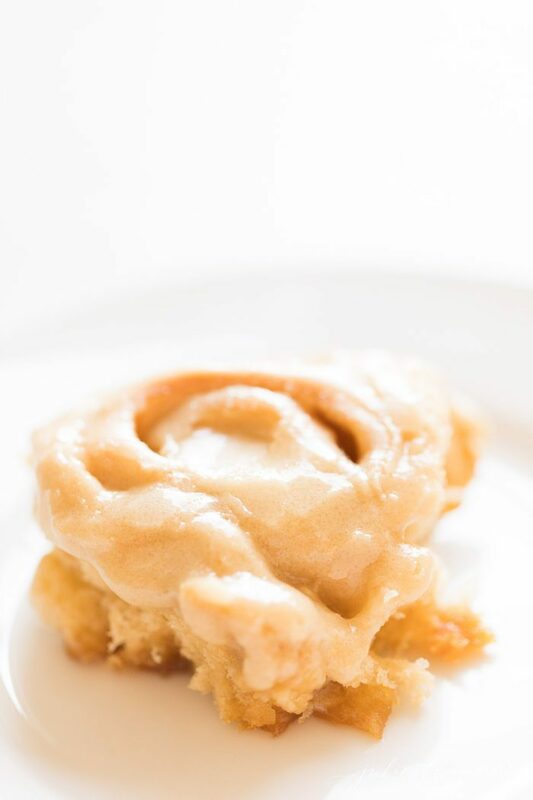 Soft, moist, Caramel Rolls topped with Caramel Frosting – so good you’d never know they start from a can of crescent sheets! 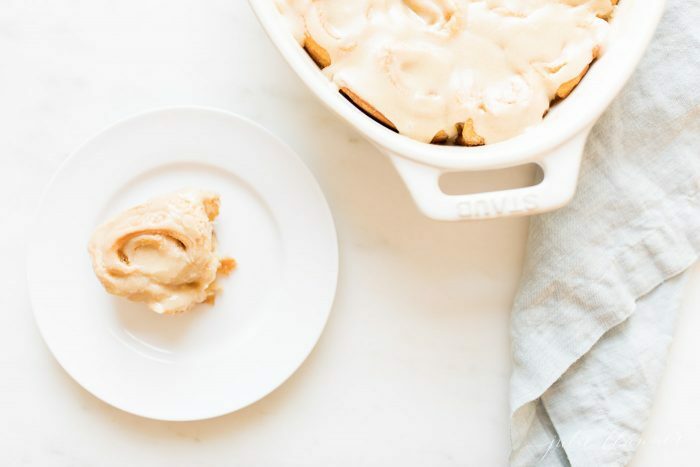 If you only make one recipe of mine this month, try these Caramel Rolls. They are so incredible, addicting and will have everyone thinking you spent hours in the kitchen making them. Fortunately, thanks to a shortcut, you won’t! 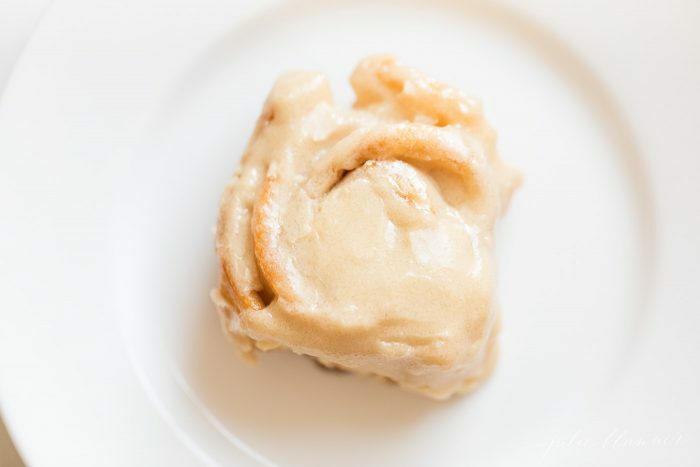 You can make this easy Caramel Rolls recipe in just 10 minutes hands-on time. 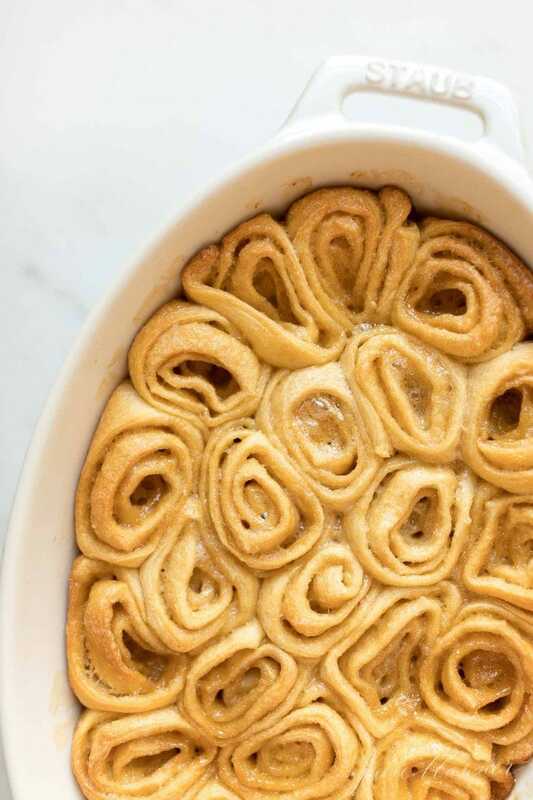 These Caramel Rolls are made with crescent sheets. You just roll them out (on parchment paper for easy clean up), add butter and brown sugar, roll, slice and bake. 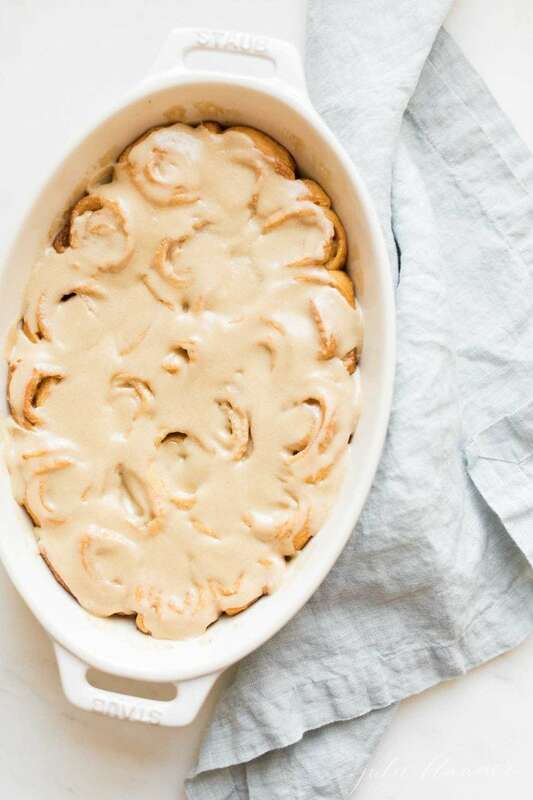 Of course you have to top Caramel Rolls with Caramel Frosting. 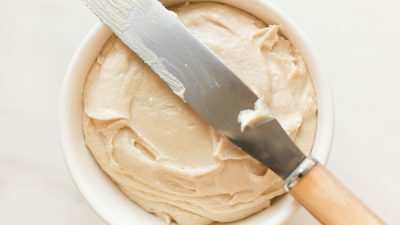 Butter, brown sugar, milk, vanilla salt and powdered sugar whipped to a thick, fluffy cream spread on warm rolls makes them out of this world! As it seeps in it creates a caramel roll sauce. If you’re like me, you’ll be scooping up every last trip to smother your roll. 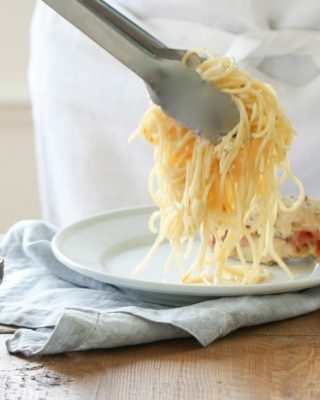 You’d never know they weren’t made from scratch! 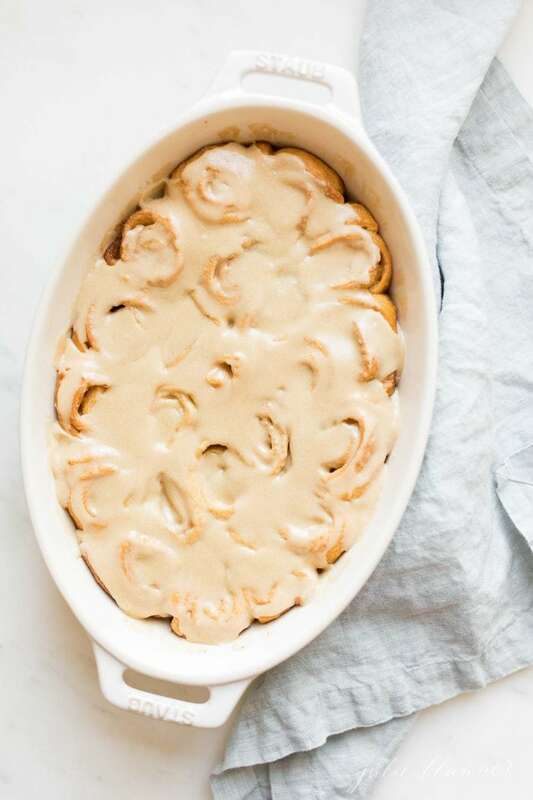 Caramel Rolls are an easy breakfast or brunch treat. You can even make them ahead and bake just before serving, but they come together so quickly, you don’t have to! 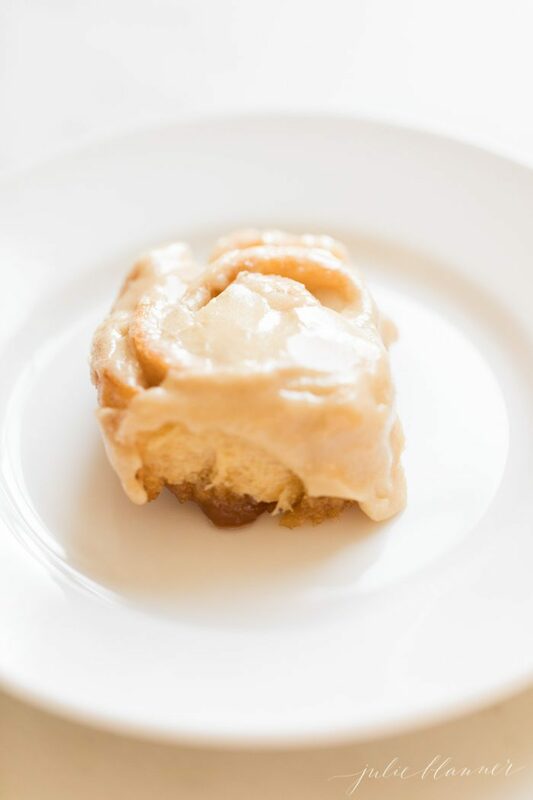 You can see from the photo below how butter and brown sugar make the best caramel roll sauce! 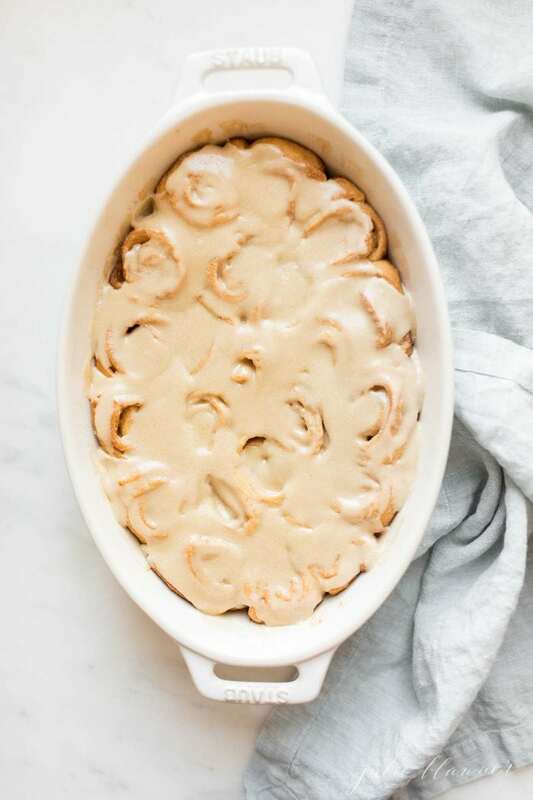 On of the many things I love about this Caramel Rolls recipe is that you can serve them in the dish you bake them in rather than on a separate platter. 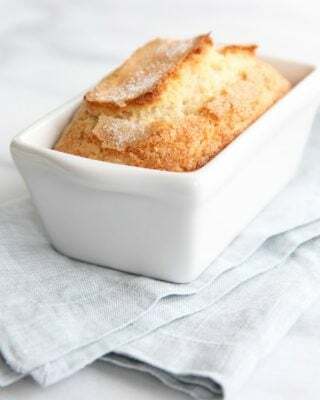 Anything that goes from oven to table beautifully is a win in my book because while I enjoy baking, I don’t love to do dishes. 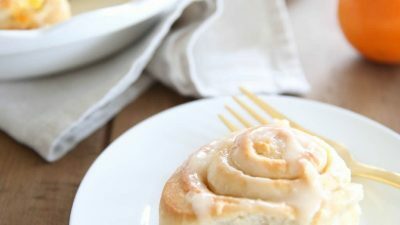 These are true, soft, melt in your mouth caramel rolls (not the sticky kind, though I love those, too!) You can see how moist and flaky they are in the photo below. 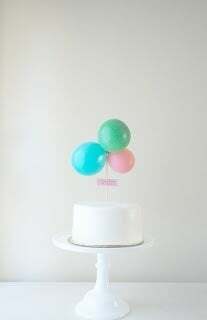 Just writing about them makes me want to eat another! 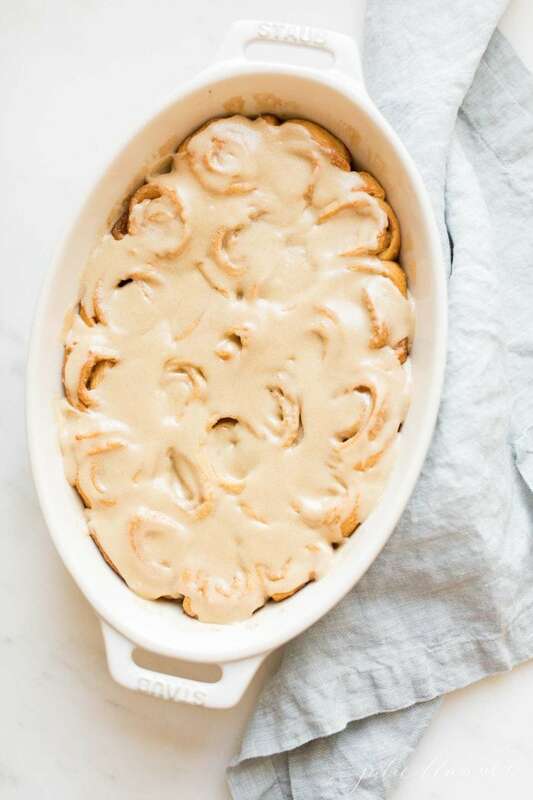 If you love these easy caramel rolls, please write a five star review in the comments and help me share on Facebook and Pinterest! PS: as if these aren’t amazing enough already, you can top them with toffee bits or nuts! 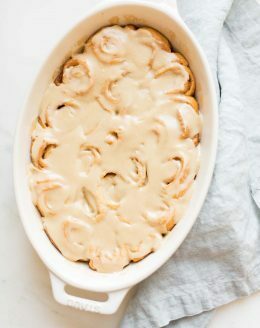 Soft, moist, Caramel Rolls topped with Caramel Frosting - so good you'd never know this Caramel Rolls Recipe starts from a can of crescent sheets! Roll crescent roll sheets onto parchment paper. Brush with butter. Roll each sheet into a log, slice into 12 pieces (each). Place in a buttered baking dish. Bake 26-28 minutes. 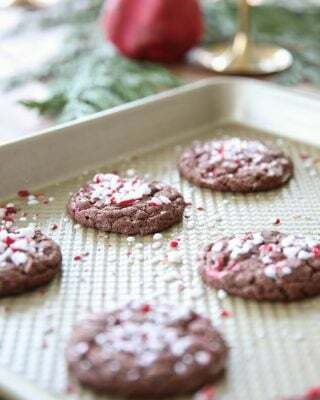 Combine butter, sugar, milk, vanilla, salt and powdered sugar until smooth. Pour on top of caramel rolls. These look amazing. I have Danby counters and love to bake, but I am scared to roll dough or use melted butter directly on them. Have you had any oil staining? No, you shouldn’t when properly sealed. Ours were first sealed immediately upon being installed and they were not completely dry, so oil stained. We since learned about the error, resealed ourselves and haven’t had another! I always roll directly on our marble and clean with soap and water after. Enjoy!